Today I found out the only member of ZZ Top that doesn’t have a beard is Frank Beard. Beard is the drummer for ZZ Top and former band member of the Cellar Dwellers, The Hustlers, The Warlocks, and American Blues. ZZ Top was originally formed in 1969, in Houston Texas. The band, with the original members, is still making records and touring today, which makes them the second longest running band that still has the same members as when they started. Those members are Frank Beard (drums), Billy Gibbons (lead vocals and guitar), and Dusty Hill (vocals, bass, and keyboards). The longest running band of all time, that maintained the same members as when they started, is the Four Tops. The Four Tops played from 1953 to 1997 when band member Lawrence Payton died, effectively ending the streak, which as of today is only 3 years longer than ZZ Top’s still running streak. Along with still maintaining the same band members, ZZ Top kept the same manager, Bill Ham, from their inception until 2006. The name ZZ Top, according to band member Billy Gibbons, came from a tribute to B.B. King. The band originally were going to call themselves “Z.Z. King” in King’s honor, but then decided it was too similar to B.B. King. Because B.B. King was at the “top” of the blues world, they changed it to ZZ Top. The popular ZZ Top song “La Grange” was written about the famous brothel the Chicken Ranch. The Chicken Ranch also inspired the musical “The Best Little Whorehouse in Texas”. Today, along with touring and making new albums with ZZ Top, Frank Beard lives in Richmond, Texas where he runs “Top 40 Ranch” and plays ridiculous amounts of golf, including playing in local tournaments and community events. In Back to the Future III, ZZ Top played the Square Dance Band. 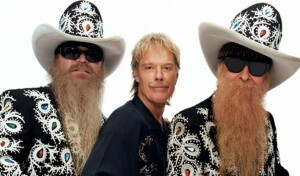 Frank Beard and Dusty Hill are not original members of ZZ Top. This lineup was completed on December 31, 1969. The original drummer and bassist are drummer Dan Mitchell and bassist Lanier Greig. I can take that million bucks and shave my beard anytime !